Several events are planned for Saturday, September 28 throughout Prince George's County. 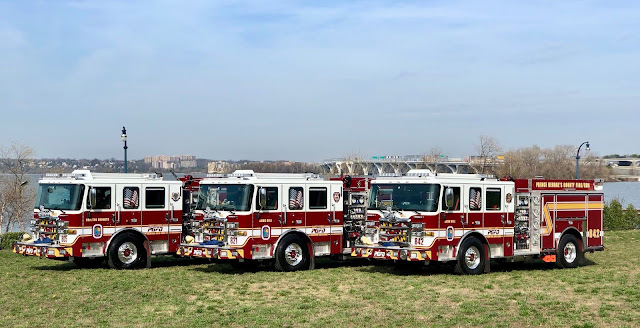 Prince George's County Fire Chief Benjamin M. Barksdale will attend many of the events on what appears to be a very busy day in the community. Events include Christmas in April, a large smoke alarm installation and a retirement celebration. 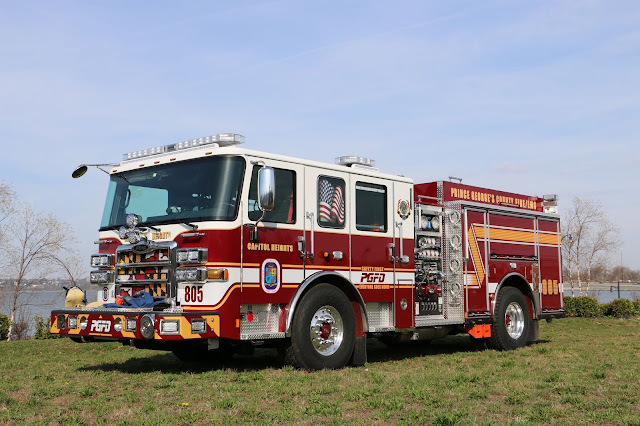 The Prince George’s County Fire/Emergency Medical Services (EMS) Department is proud to participate again in this year’s Christmas in April projects across the County. This year’s Christmas in April projects will be held on Saturday, April 28, 2018, rain or shine. Each home selected for the event will have a Fire/EMS Department House Captain assigned, who will be in charge of coordinating participation of volunteers at that location. Work starts at around 8:00 am for most locations. WHAT: The Red Cross is hosting its signature Sound the Alarm event in Oxon Hill, MD, as part of the nationwide effort to help reduce the number of deaths and injuries caused by home fires. Red Cross volunteers, fire departments and community partners will be canvassing neighborhoods, installing free smoke alarms and helping families create escape plans. In just three years nationwide, we have installed more than 1 million smoke alarms and prepared more than 1 million people against home fires through our door-to-door visits. The Red Cross responds to nearly 64,000 disasters a year, the majority of which are home fires. Working smoke alarms in a home cut the risk of death by half, and having an escape plan further improves the odds of survival. The Red Cross wants to end these tragedies and save lives – that’s why we launched the Home Fire Campaign in 2014. Fire Chief Barksdale will attend a celebration for a recently retired Deputy Fire Chief. Prince George's County Deputy Fire Chief Dennis C. Wood at 44 years of age and nearly 23 years of service retired effective March 31, 2018. During the most recent three years, he served the personnel that provide direct fire suppression and emergency medical services to the community as the Emergency Services Deputy Chief. He leaves the Department with a sense of pride and accomplishment about the growth and innovation that has resulted in improved effectiveness and efficiency. Wood’s retirement celebration will be held at Looney's Pub in Fulton, MD from 2:00 until 5:00 pm. 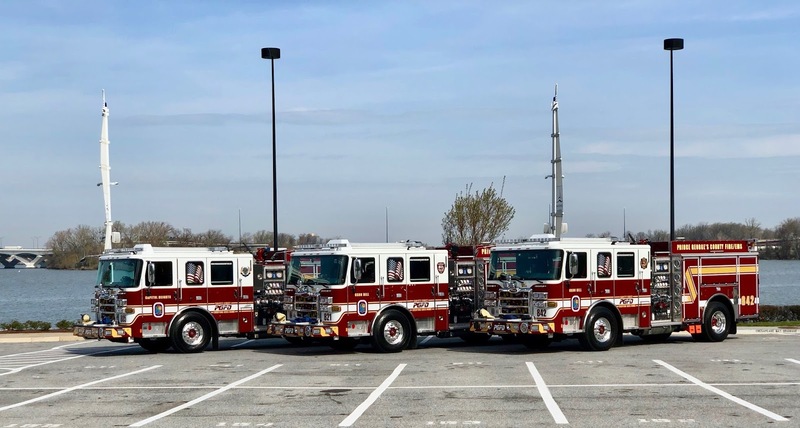 Prince George's County Maryland Fire Chief Benjamin M. Barksdale is proud to announce the recent delivery of three new engines. 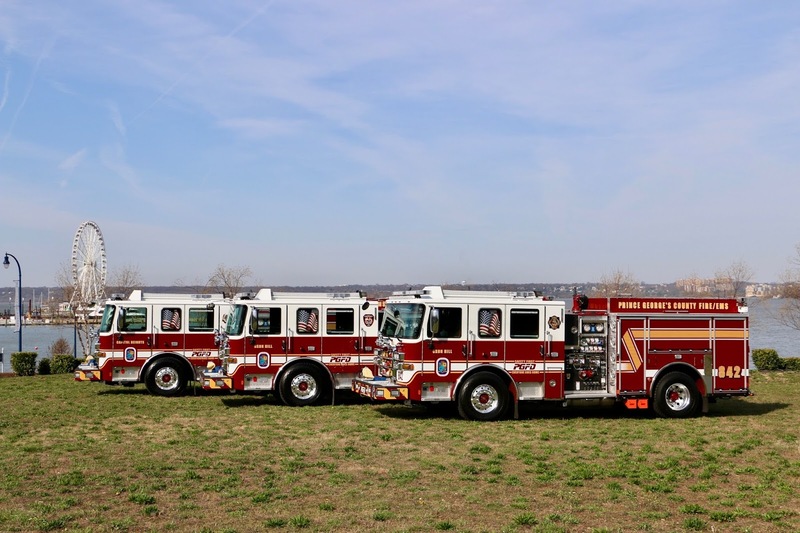 The 2018 Pierce Manufactured engines were designed to meet the demand for the service area they will be assigned to. The units are powered by a Detroit DD13 engine with 525 HP. The engines can carry 500 gallons of water and are equipped with Hale 1,500 gallons per minute pump. The new units will be assigned to Oxon Hill Fire/EMS Station 842 (Marcy Avenue), Oxon Hill Fire/EMS Station 821 (Livingston Road) and Capitol Heights Fire/EMS Station 805. The Prince George’s County Public Safety Valor Awards Luncheon will be held Wednesday, April 25th at 11:30 am. Personnel from the Fire/EMS Department, Police, Corrections, Public Safety Communications and Office of the Sheriff will be recognized for actions that occurred in 2017. Also being recognized by County Executive Baker at this event is Captain Jonathan Morgan for his downing of his disabled aircraft without causing injury, death or property damage. Agency Chiefs/Department Head’s, Elected and Military Officials, recipients and their families and personnel from Public Safety . Media and photographers should contact Mark Brady to enjoy lunch with us. Upper Marlboro Fatal Crash - car into building. 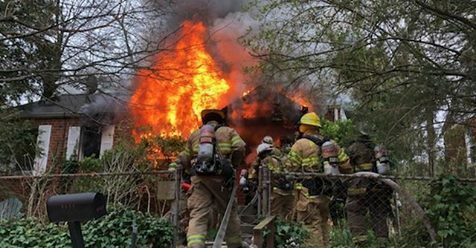 Investigators from the Prince George's County Office of the Fire Marshal are working to determine the cause of a fire that appears to have claimed the life of a Chillum resident. 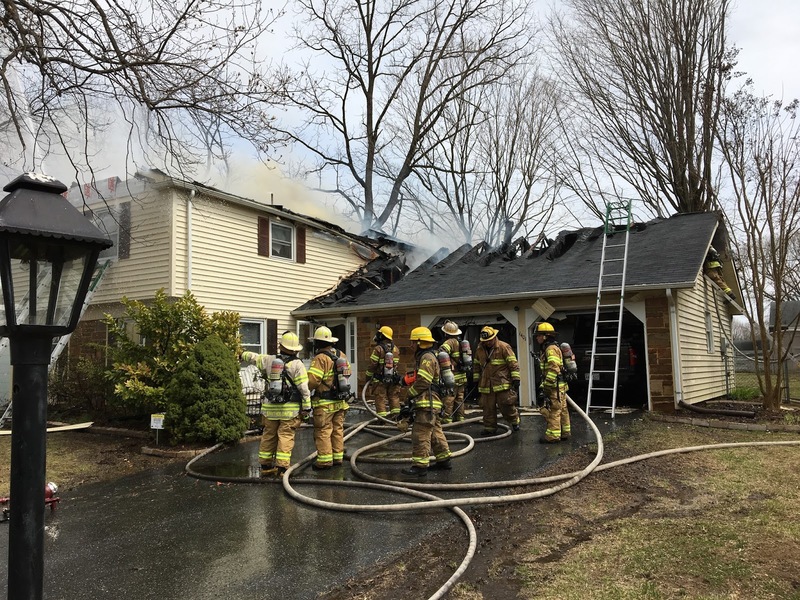 At around 7:45 am, Saturday, April 14, firefighters were alerted to a 911 report of smoke coming from a house. A neighbor across the street called 911 after they saw smoke coming from the front window and alerted the call taker that they did not know if the person that lived there was still inside or not. Firefighters arrived at a 2-story, split level, single family home in the 1400 block of Ray Road and confirmed a working fire. Firefighters quickly extinguished the fire and located the occupant deceased in the same general area. The deceased is believed to be the homes lone occupant, an adult female in her 70's. The home had a working smoke alarm, however, there was only one and it was located in the lower level of the house. This alarm was not in a position to immediately detect smoke on the upper floors and provide the early warning to the occupant of the fire. The cause of the fire is under investigation, however, nothing suspicious has been found. Positive identification of the deceased and cause of death will be determined the the Office of the Chief Medical Examiner. Fire loss is estimated at $50,000 with an area of origin being the living room on the main level. Maryland State Law requires homes to have a 10-year, tamper proof, smoke alarm on every level of your home. Residents that can not afford to purchase a 10-year smoke alarm themselves can call 311 and request an alarm to be installed in their home by a firefighter at no charge. Prince George’s County Firefighters were dispatched to investigate an odor of smoke and a smoke alarm sounding in an attached duplex unit in Suitland this morning. These details were obtained from a 911 call received from the occupant of the attached duplex unit. 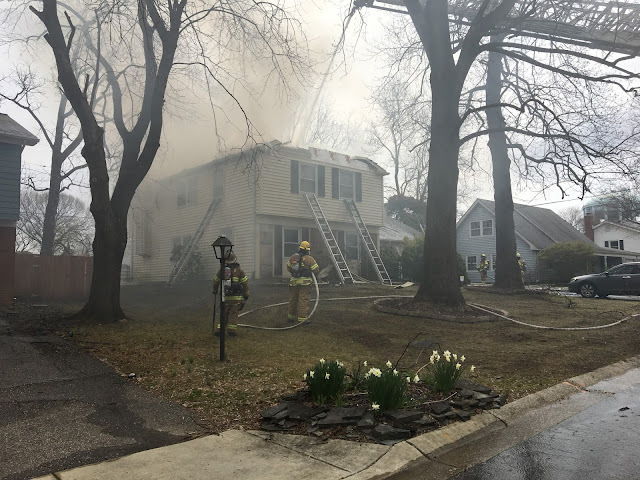 At around 3:45 am, Tuesday, April 10th, firefighters arrived at a 2-story brick duplex in the 4600 block of Brookfield Drive to find a fire in a second floor bedroom. The fire was located in the duplex unit attached to that of the 911 caller. The small fire was quickly extinguished and a deceased adult male was discovered in the room of origin. A working smoke alarm was found in the home. Fire Investigators have initiated an investigation into the cause of the fire. An autopsy will be performed to determine the identity of the deceased and cause of death. Standard procedure is for the County Police to join Fire Investigators until a cause of fire and death have been established. No other civilian or firefighter injures were reported. Preliminary fire loss is estimated at $2,500. The cause of fire is under investigation. Firefighters will return to the community this afternoon at 1:30 pm and go door-to-door asking to check smoke alarms. If a non-working smoke alarm is found or is lacking any alarm, one will be installed by firefighters at no charge. Firefighters will also provide fire safety information including how to prepare an home escape plan in the event of a fire. This information added on April 30, 2018. This office has not been notified of autopsy results. SUITLAND, Md. - Larry Littlejohn Jr., 50, of 4603 Brookfield Drive, transitioned on April 10, 2018 at his residence.Funeral service will be held Friday April 20, 2018 at 2 p.m. at Ebenezer Baptist Church in Gaffney, S.C.The family will receive friends one hour prior to the service. The Prince George's County Fire/EMS Department Hockey Team, "The Southsiders" will be skating in a very worthwhile tournament this coming weekend. 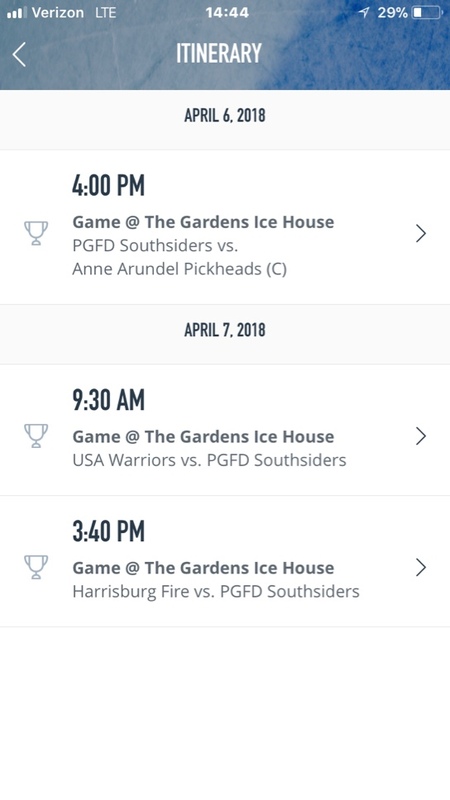 The DC Firefighters Burn Center Tournament will be held this weekend at the Gardens Ice House in Laurel. The PGFD Southsiders team is representing IAFF Local 1619 and Alpert Schreyer Law Firm. Prior to the Saturday afternoon game versus Harrisburg there will be a puck drop by a Prince George's County Firefighter that was just released from the Burn Unit at Medstar Washington Hospital Center where he spent just over 2 weeks being treated for burns sustained in a house fire. Fire Fighter Cody Schmidt and his crew will tentatively drop the puck to start the game along with making a presentation of a donation to the Burn Center by The Southsiders and our sponsors. Enjoy some hockey this weekend for a good cause and have a great time!! !